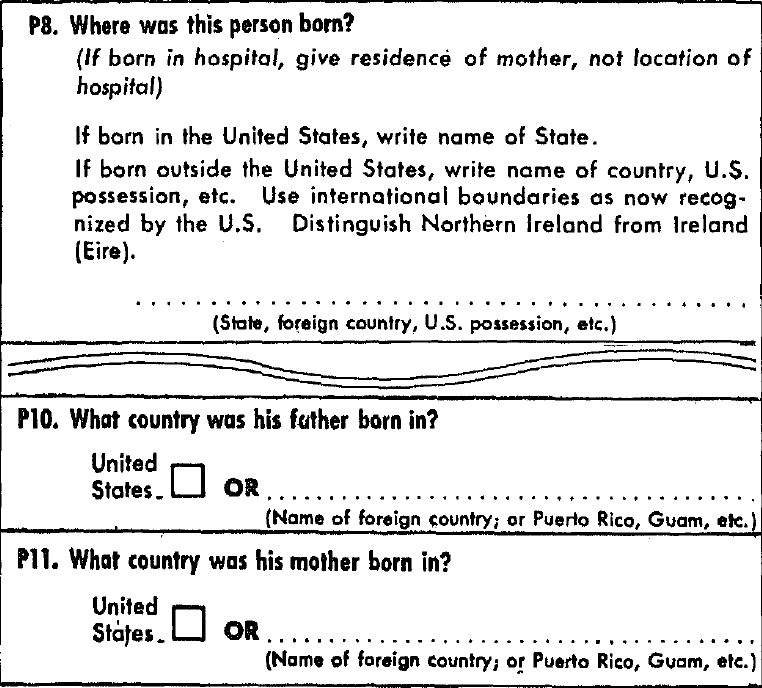 Excerpt from: U.S. Bureau of the Census. U.S. Census of Population: 1960. Subject Reports, State of Birth. Final Report PC(2)-2A. U.S. Government Printing Office, Washington, D.C. 1963.